Are you looking for a way to replace missing teeth? Dental implants look, feel, and function like natural teeth. Dental implants are extremely versatile, which makes them a great option for replacing missing teeth. Dr. Brian Gniadek & Associates in Lindenhurst, IL offers dental implants to their patients. Here are some reasons why dental implants are so versatile. Losing one tooth can cause a host of problems for your smile, from structural changes in the face to a deteriorating jawbone. To prevent these problems from happening, it's important that you replace your missing tooth as soon as possible. A dental implant is made up of a titanium post that is implanted into the jawbone. Once the area of the dental implant has healed, the dentist caps the titanium post with a dental restoration. When you are missing multiple teeth, chewing and speaking can be difficult. Having missing teeth can also make you look older. Fortunately, missing teeth can be replaced. Dental implants can be used to replace multiple teeth or used to support a complete set of upper and/or lower dentures. Dental implants can be used to add to the stability of existing dental appliances, like dental bridges and dentures. 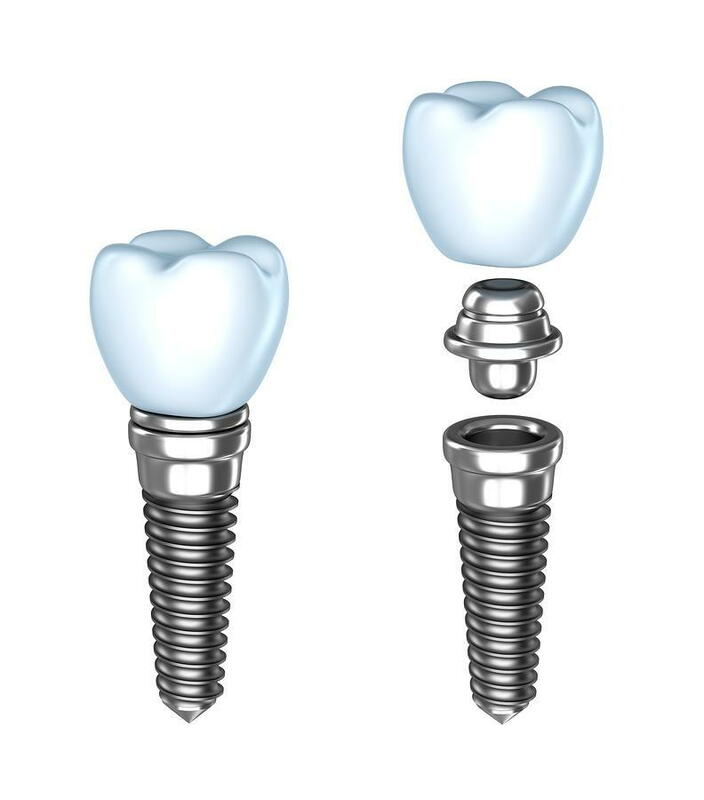 One or more dental implants can stabilize a dental bridge. Partial dentures may require multiple implants, but the implants will make them stable. If the dentures are supported by dental implants, they won’t slip or slide, thus improving comfort and preventing embarrassing situations. While other dental restorations - crowns, bridges, dentures - are effective, they all will eventually require repair or replacement. But dental implants from your Lindenhurst dentist are designed to last decades, even a lifetime, with proper care and regular checkups. Their longevity is due in part to the unique way they are permanently implanted into the jawbone, providing unprecedented stability to the whole implement. Not only do they look like natural teeth, they are cared for in the same way. Regular brushing, flossing and twice-yearly cleaning appointments are all you need to keep your new restorations bright, shiny and functional for years to come. Having missing teeth is embarrassing and it can put you at risk for severe oral health problems. You don't have to live with missing teeth. If you need dental implants, call Dr. Brian Gniadek & Associates in Lindenhurst, IL today to schedule your consultation. Dental implants will help restore your smile!